To be considered to adopt a GSGRR rescue dog you must complete an adoption application. If you would like more information on a dog available for adoption, please click on on petfinder website or visit our adoptable dogs gallery. All of our adoptable dogs have been vet checked, are current on vaccinations and have been spayed or neutered. To be considered to adopt a GSGRR rescue dog you must complete an adoption application. We will complete a vet check with the information that you provide on your application. Please give us the vet's name and phone number, including the area code. It's also helpful to include your previous pet’s name(s) that would have been cared for by this vet. After a review of you adoption application, if we feel you are a good candidate to adopt a rescue Golden, we will contact you and conduct a 'phone visit' and arrange a future home visit. After an application review, phone and home visit are complete, if we feel you are ready for a rescue Golden, the adoption coordinator will contact you to discuss which dog we feel is a good match. Please complete our online application below. We like to keep in touch with all our adopters. When we take in a dog, we consider it our responsibility for life. In accordance with our adoption contract, if the new owner feels the adoption is not working we will take the dog back into our program to find a more fitting placement no matter how long you have had the dog. It is a violation of our adoption contract for a new owner to pass the dog on to another party or to take it to a shelter. A refund of the adoption fee is available within 2 weeks of the adoption. Gulf South GRR will consider adoption applications from anywhere in the continental U.S., but shipment of an adopted dog is the financial responsibility of the adopter. Although there are exceptions, air cargo rates to ship a Golden Retriever typically run about between $250 and $400, excluding the necessary crate, with a value of $90, taxes, and airport fees. Thank you for your interest in adopting a Golden Retriever! We want the best permanent homes for the dogs in our care. Please fill out our on-line application below and you will hear back from us shortly. Questions with an asterisk * require an answer. If so, do you still have that dog? If you have had any dogs in the past, what happened to your last dog? If you rent, do you have your landlord's permission to keep a dog over 50 pounds? If so, is it fenced? What type and height of fencing? If you do not have a fence, do you plan to install one? Does this person(s) know they are getting this gift? If you wish, please use the following comments area to tell us about yourself and your family, including any special activities in which your rescue dog would be included. If you have any special requirements for a dog, please let us know so we can more carefully match a dog to your lifestyle. Please click the Submit Application button only once. 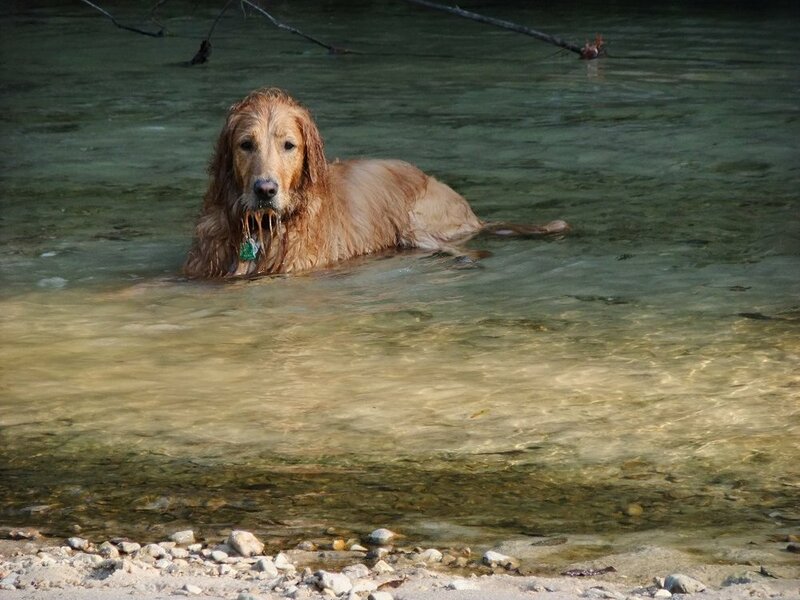 Please email gulfsouthgoldens@gmail.com if you would like confirmation that your application was received. Thank you.